British supermodel opens up to Vanity Fair about her most famous breakup. File photo: Kate Moss. The model opens up to Vanity Fair about her split from Johnny Depp and how she cried for "years." 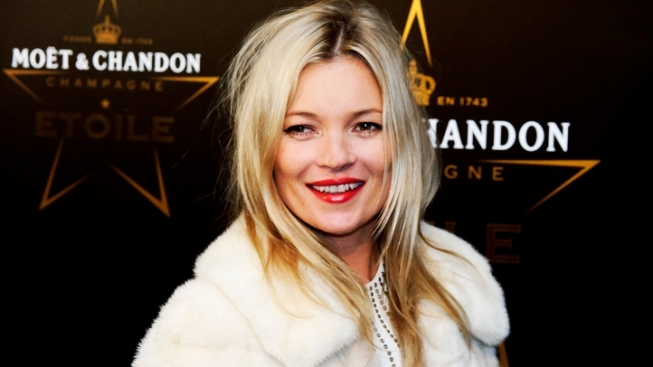 Yes, Kate Moss is a supermodel. But she's also human, and when she and Johnny Depp broke up, she reacted how any woman of sound mind would. She turned into a crying mess. For years. Yes, years. "There's nobody that's ever really been able to take care of me," Vanity Fair's December cover girl told the magazine of the one-time It couple's split. "Johnny did for a bit." She added, "I believed what he said. Like if I said, 'What do I do?' he'd tell me. And that's what I missed when I left. I really lost that gauge of somebody I could trust. Nightmare. Years and years of crying. Oh, the tears!" Meanwhile, she didn't feel quite the same way about all her leading men, and admitted that she had mixed feelings about her infamous 1992 Calvin Klein campaign that skyrocketed her profile as a model. "I had a nervous breakdown when I was 17 or 18, when I had to go and work with Marky Mark and Herb Ritts," she said. "It didn't feel like me at all. I felt really bad about straddling this buff guy. I didn't like it. I couldn't get out of bed for two weeks. I thought I was going to die." She turned down a doctor's offer of Valium following the incident, after she was advised not to start pill-popping. "It was just anxiety. Nobody takes care of you mentally. There's a massive pressure to do what you have to do. I was really little, and I was going to work with Steven Meisel. It was just really weird--a stretch limo coming to pick you up from work. I didn't like it. But it was work, and I had to do it." Being beautiful can be an ugly business. Still, it's a tough job, but someone's got to do it.